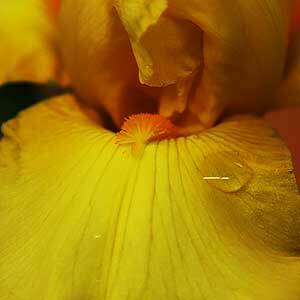 All Bearded Iris are fairly shallow rooted and when planting require a sunny well drained position. 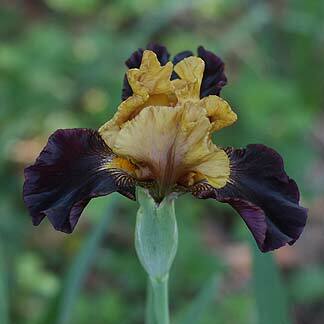 These Iris flower after tulips have finished, and before most perennials flower. These are probably the most popular of all iris, attractive, tough and drought tolerant. With dwarf, intermediate and tall growing forms and a huge range of colours you are sure to find a suitable bearded iris for any situation. It is the tall varieties that we most often see in the gardens across Australia they can reach around .5 to .8m in height. They really are a hardy plant thriving in hot summers and yet appreciating our cold winters. With many new releases each year cultivar names do change, ‘Victoria Falls’ with its blue flowers and ‘Winterland’ with white flowers with a touch of pink are two popular varieties. All will grow well from Sydney through to Melbourne and Hobart, in Brisbane and and in the warmer suburbs of Adelaide Perth and even Western Sydney the lack of a winter chill can inhibit flowering. With many breeders producing new cultivars every year in Australia the variety for sale online is huge, and these are a plant that travel fairly well as dormant rhizomes. Remember that these wonderful flowering plants come in a range of heights, from around 30cm for dwarfs to over a metre for the tall growing types. As for flower color, you can find bearded iris ranging from whites and blues through to reds and browns, you name it it is available. Plant Bearded Iris at or slightly below the soil surface with roots set in the soil and the rhizome itself sitting just above soil level. Excessive shade may inhibit flowering so choose a sunny spot. Another factor that can stop flowering is over fertilization or very rich soils, this encourages foliage growth, and although the foliage is attractive with a tall green sword like appearance it is the flowers we are after. Bearded Iris perform best with at least 6 hours full sun a day during summer. Protection from very hot afternoon sun is desirable. Iris also require a cool winter to perform at their best. If you apply too much nitrogen you can end up with great foliage, but no flowers, so watch the type of fertiliser you use. Botanical Name – Iris x germanica. Common Name – Bearded Iris. Height – To around 1 metre. Some varieties smaller. Flowers – Varied in colour from white through to near black. Foliage – Md green and stiffly upright. Frost tolerant – Medium frosts. 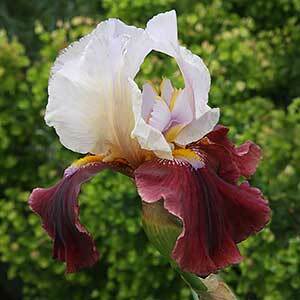 When crowded these iris tend not to flower, so if the clump is getting to big, divide it. Remember that Bearded Iris sometimes require a season to ‘settle in’ to new conditions, so if your bearded iris does not flower in the first spring, be patient. Lot 2 Warialda Rd Inverell NSW 2360 BEST Nursery has over 300 varieties of Bearded Iris for sale, to help add some beauty to your garden. The iris come in a variety of colours and colour combinations, and require low maintenance to achieve a great result for all gardeners.